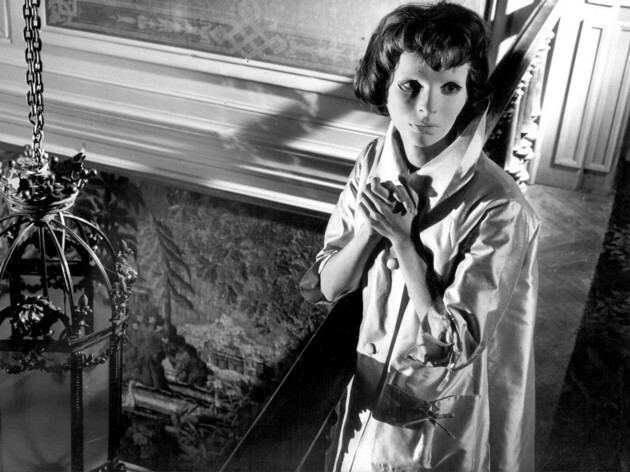 Eyes Without a Face is as precise as itâ€™s title suggests.We are in a world of masks and false identities.We are in macabre,but realistic world where horror and the fantasical operate in â€˜homeopathic dosesâ€™. Having to get around the censorship of Germany,France,England and Italy, Franju chillybut lyrical film becomes poetic in his escewal of Grand Guignol gestures and colour, weilding a mean scalpel. The music is both jaunty and by turns melancholic,carnivalesque and internal.Dr. Genessier is no mad scientist,he gives lectures about the future of transplanting to respectable audiences who acclaim his worth and genius and he is a plastic surgeon. However he loves his daughter and feels guilty because he has disfigured her face in a road accident and must make amends by getting his assistant,Louise(Valli) to pick up young student women of similar facial structure.Once back he drugs them and while they are unconscious he removes the skin off their face to transplant onto Christiane, his daughter. Meanwhile she mopes behind a white porcelaine-like rubber mask,shut away from the world. Like a creepy fairy-tale princess awaiting release.She is the dominant centre of the film seeming to call forth desperate measures from her father,whereas he is the active centre.There is a ghastly cost to all this:the disposing of dead bodies in rivers or underground vaults.by his loyal robotic assistant-lover, Louise. Also, after a few days the transplants are rejected and the graft rots. The same cycle is repeated again. The pivotal centre of the film is when Genessier starts to sketch out on a guinea-pigâ€™s face with a pencil then using his scalpel proceeds to cut along the pencilled line with blood coming out all the way along.His sweaty face conveys the tension of the scene and in graphic detail he lifts off the facial skin.Another major scene is where the drug wears off as Genessier has had to leave to speak to the police and Christiane wanders in without her mask and stands over the waking female.The look of horror on her face recalls when Mia Farrow wakes up in Rosemaryâ€™s Baby and realizes she has given birth to the devil. The climactic scene is where Christiane, once mutely compliant , now rebels and liberates a would-be victim. 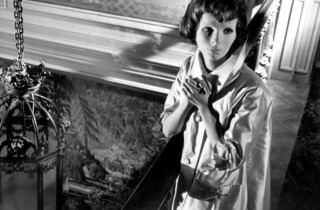 She also releases all the caged dogs who are experimented on and the doves with one on her arm walking outside into the woods without a mask, her father having been savaged to death,after having stabbed an uncomprehending Louise in the kneck.What is truly horrible is the way Franju deconstructs the horror by underplaying it. We never see beneath the mask clearly,only an unfocussed shot, thus intensifying the power. Boileau-Narcejas adapted Redonâ€™s thriller.They famous already for Diabolique and Vertigo.Alida Valli(Louise) is well known from The Third Man.